This is the 2nd edition which is slightly updated with notes on Tiznaos armoured trucks and Dynamiteros explosive experts (miners in the militia!). 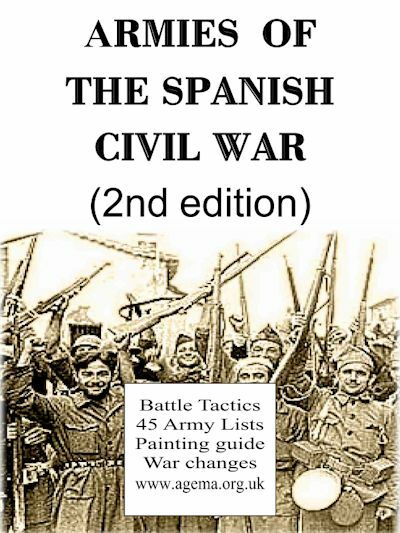 ‘This is an extremely thorough resource for a regional year-by-year list of forces (including armour) on both sides of the Spanish Civil War. Indispensable for this somewhat neglected action, and usable for any rules system. Can't beat the price, either. A big thank you to the compiler of this book.’ - Mark S., Review on Drivethru.